After several month of brainstorming and prototyping, we are happy to announce that the Qubi, our new charging station for the Apple Watch is now available online on our Shop! WoodUp Qubi is a beautifully designed docking station for the Apple Watch. It is completely handcrafted – every piece is patiently made in our Workshop, in Berlin, Germany. 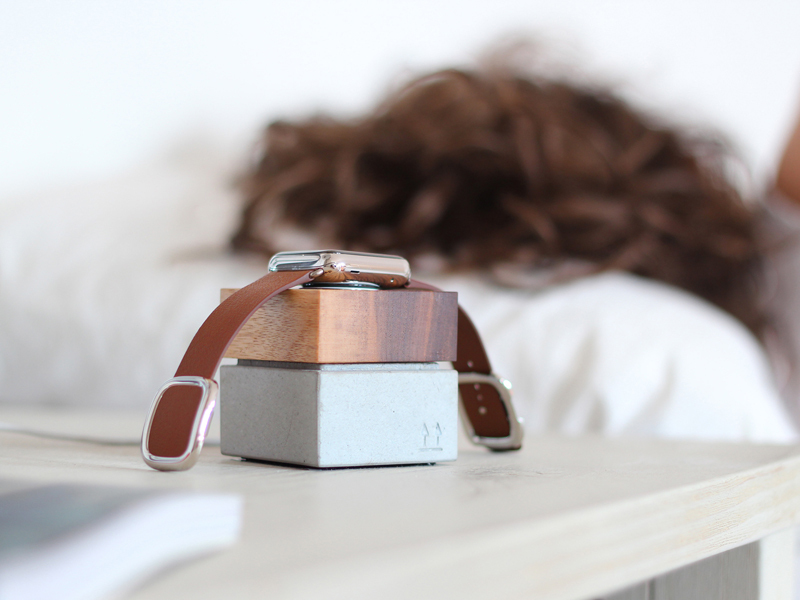 Qubi combines the roughness of concrete and the elegance of walnut wood, creating a safe place for your Apple Watch to charge while you sleep. 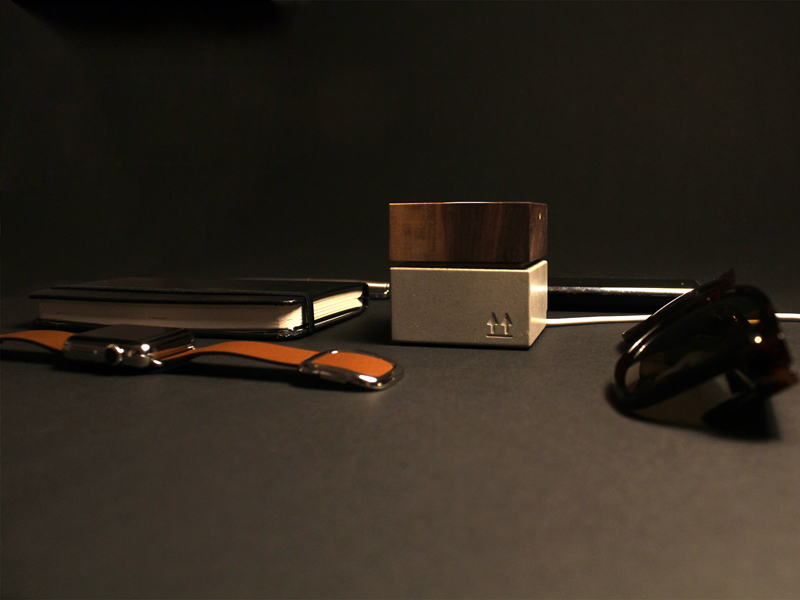 It uniquely hides the Apple Watch charging cable allowing you to keep your desk or night table neat and organized, with a touch of elegance. 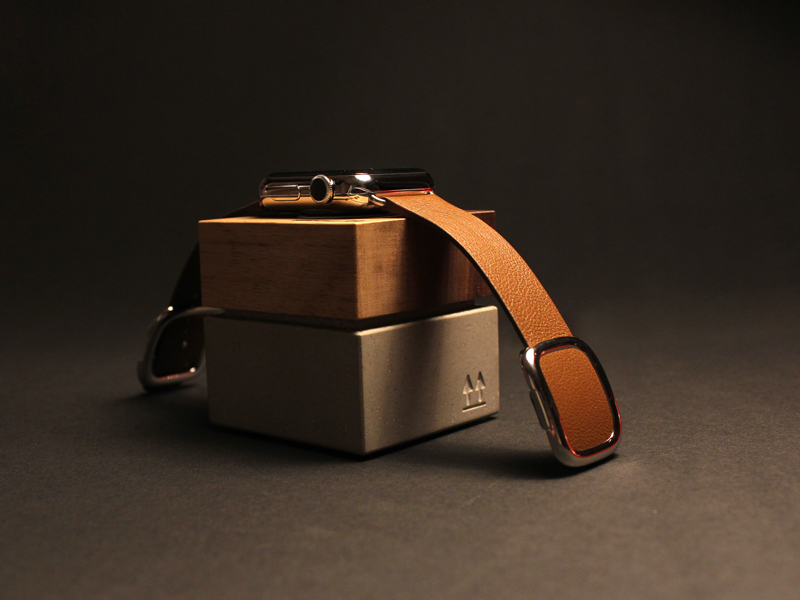 Its robust construction keeps the dock and your smartwatch securely in place. Furthermore, Qubi comes with a micro suction pad on the bottom that enables a firm one-handed connection and disconnection of the watch. If you want to learn more about the Qubi or quickly want to get yours, go take a look! http://woodup.de/en/portfolio/qubi-apple-watch-dock-docking-station/After several month of brainstorming and prototyping, we are happy to announce that the Qubi, our new charging station for the Apple Watch is now available online on our Shop!